Two long-running franchises released new chapters to their repertoires this weekend to varying degrees of success. And I’m not talking box office dollars (both did quite well for themselves); I’m talking creative ingenuity. With franchises that have spanned the course of several decades, it’s sometimes hard to find new and exciting ways to produce what amounts to basically the same thing. On occasion, a well-done facelift is in order to help make the old feel new again. But this type of change can be a slippery slope — if you don’t go far enough, people will look at it with a high degree of boredom; go to far and people will reject it because it doesn’t feel the same, or it goes against what they remember. 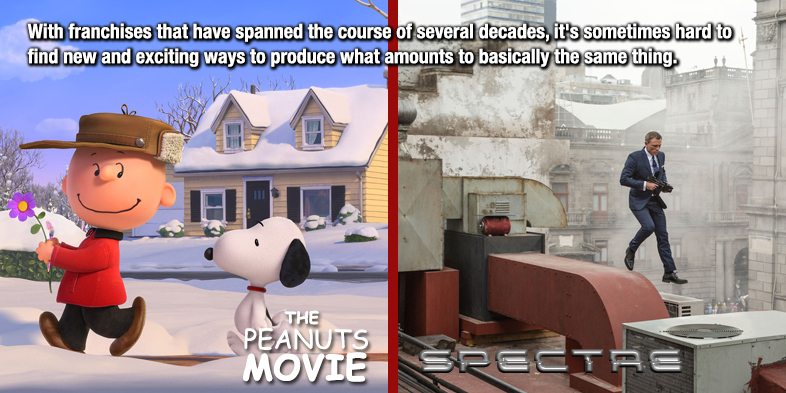 Both The Peanuts Movie and Spectre understand this well enough and stay relatively true to their source material while at the same time, updating their characters for the newer generations. But how well do these new iterations actually work? Charles M. Schulz created the Peanuts Gang in 1950, introducing us to poor, lonely Charlie Brown, a kid with no luck and even worse karma. His friends were a varying degree of emotional constructs: Lucy was his (main) bully, Linus his support, Peppermint Patti his pal, and Snoopy his loyalty. They were friends like any other, teasing and picking on his faults (which include being unable to fly a kite, stealing away the football, and never being able to strike anyone out), but they would always be there for him when it counted because his kindness and compassion always brought everyone together. The movie, written by Bryan & Craig Schulz and Cornelius Uliano, and directed by Steve Martino, doesn’t stray at all from those very specific points. 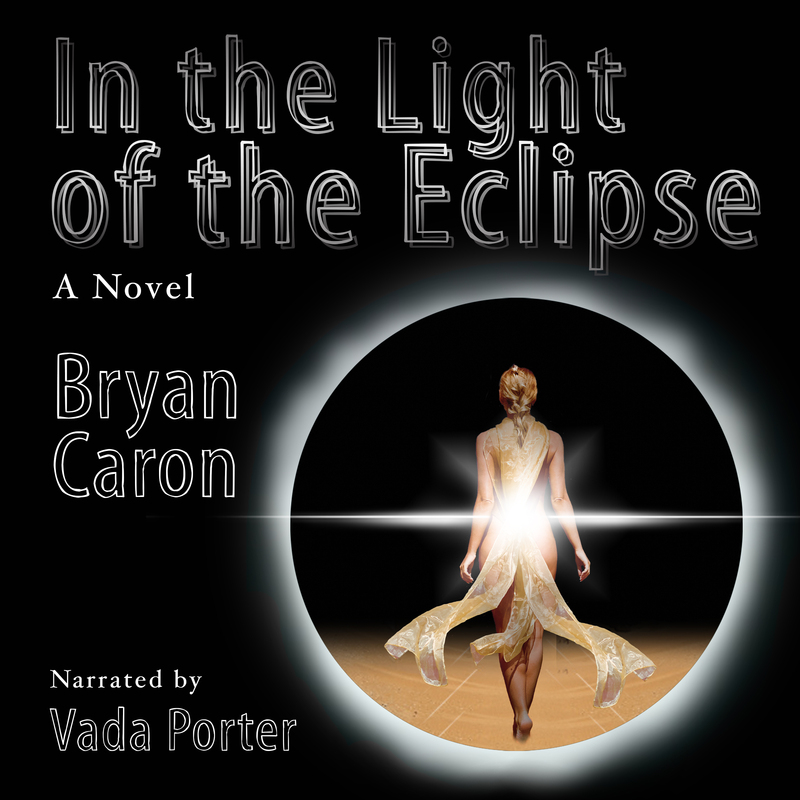 What it does is add a new level of sophistication to the attitude behind both the story and the animation style. The main plot is simple enough: on a cold winter’s day, the little red-haired girl (Francesca Capaldi) moves in next door to Charlie Brown (Noah Schnapp), who tries (and miserably fails) to impress her over the next few months. Whether it’s slipping on punch during a school dance to having his awesome book report chewed up by a passing toy airplane, nothing he does ever works in his favor. As fans of the comic know, the little red-haired girl is Charlie Brown’s ultimate crush, so it was really nice to go back to the beginning of that story to develop that relationship. And that’s not the only thing the filmmakers set-up in this movie. In a seemingly random subplot that tries to mirror Charlie Brown’s story, Snoopy finds an old typewriter in the garbage and brings it back home to begin writing his tails of the Flying Ace and his enemy, the Red Barron, all framed around the rescue of a cute female dog. Snoopy’s side story is fun, but he’s even funner when he’s helping Charlie Brown to get his own girl and doing all he can to fit in with all of the other children. On the James Bond front, beginning with Sean Connery’s Dr. No in 1962, the Bond franchise has gone through several major makeovers. Not counting the novels that some of these stories are based, the Bond franchise has seen a heavy variance in both creativity and audience, each new reinvention coinciding with a new fresh face to play the suave 007. Beginning with 2006’s Casino Royal, the current go-round finds Daniel Craig taking up the 007 mantle in a much different way, updating the franchise for a new generation while taking us back to the roots of how Bond first joined the 00 program. The producers also decided to start interconnecting all of the films, developing one long story thread that make all of the Craig’s films in some ways independent of each other, but in need of their predecessors to make the most sense. These aren’t your Connery standalone stories! Spectre marks Daniel Craig’s fourth (and possibly final) turn as Bond and does a decent job of wrapping up the story thread that started in Casino Royal. Fresh off of M’s (Judi Dench) untimely death, Bond hunts down and kills a terrorist she asked him to find upon her demise. This off-the-books mission leads him to the secret terrorist faction, Spectre, the head of the snake behind all of Bond’s recent misadventures. Upon discovering the group — led by the nefarious Blofeld (Christoph Waltz) — Bond must protect the daughter of one of its former members and find a way to take down the operation once and for all before they basically shut down the 00 program and take over the world. The problem with stringing a series of films together like this, where by removing one will add a bit of confusion to events and characters in the following chapters, is that there’s always the possibility that one or more of the films won’t be as good as the others, keeping viewers from continuing on with the franchise. Quantum of Solace nearly did just that, but Skyfall was able to bring the fans back. Spectre treads right in between the best and worst of Bond. What should have been a tight thriller is bogged down in a mess of insane action sequences more reminiscent of the Pierce Brosnan era of Bond and a subplot that makes absolutely no sense. Yes, Bond is a womanizer; we get it. But would Madeleine Swann (Léa Seydoux) really fall for Bond after what happened to her father (Jesper Christiansen)? And more importantly, why was she so important to Blofeld and Spectre? It seems Bond believes they are out to kill her, however, all Blofeld’s crony hitman (Dave Bautista) does is kidnap her… to do what? It’s never really explained and feels horribly superfluous and unnecessary. Just another way to get a new Bond girl into the picture that will heal his wounds from the loss of Vesper Lynd (Eva Green) a few weeks or months earlier (in accordance with the inner time frame) in Casino Royal. The additions of Ralph Fiennes as the new M and Naomie Harris as the illustrious Moneypenny do nothing to help raise the profile either. They are left mostly to spout off exposition in aiding Bond in his quest to stop Blofeld. The only one who fits this criteria and actually adds something else to the proceedings (in this case, comic relief) is Ben Whishaw as the inventor/hacker Q, who gets so exasperated by Bond, but remains as loyal as ever. But even after what amounts to a mediocre outing, I have a feeling Bond’s truest fans will continue to follow their favorite super spy to the ends of the earth and back again. Next week, new movies include The 33, Love the Coopers and My All American. If you would like to see a review of one of these, or any other film out next week, please respond in the comments below. This entry was posted on November 10, 2015, 5:59 pm and is filed under Entertainment, Film, Movies, Reviews. You can follow any responses to this entry through RSS 2.0. You can leave a response, or trackback from your own site.